Lava appears to be aiming to become a leading smartphone brand with its numerous product launches with aspiring specifications and reasonable pricing. While the vendor is expected to launch the successor of Iris X1 allegedly called Iris X5 soon the vendor has launched the Iris Pro 30+. The Iris Pro 30+ belongs to the flagship Pro lineup of smartphones that come with the theme ‘We put the Art in Smart’ and it comes with best in class aesthetics and high-end specifications. Lava has given the Iris Pro 30+ a 4.7 inch IPS display with a HD screen resolution of 1280×720 pixels translating to a pixel density of 312 ppi. It is an OGS panel that minimizes the thickness of the handset at 7.9 mm. Moreover, it is a full lamination display that reduces the glare on the screen with Asahi Dragontrail Glass that makes the screen six times stronger than other conventional displays. On the hardware front, the Iris Pro 30+ incorporates a 1.5 GHz quad-core MediaTek 6589 Turbo processor supplemented by 1 GB of RAM and PowerVR SGX544 GPU. There is 16 GB of native storage capacity of which only 7.8 GB is accessible to the users for applications and 5.5 GB for storing for media content. This storage can be expanded by another 32 GB with the help of a micro SD card. When it comes to the imaging hardware, the Lava Iris Pro 30+ features a 13 MP primary snapper with auto focus and BSI II sensor that helps in capturing impressive snaps at low light conditions. Also, this camera supports video recording at FHD 1080p and playback at HD 720p respectively and features such as four-directional panoramic view and HDR. Also, there is a 3 MP front-facing selfie camera onboard for video conferencing over 3G and clicking gorgeous self portrait shots. 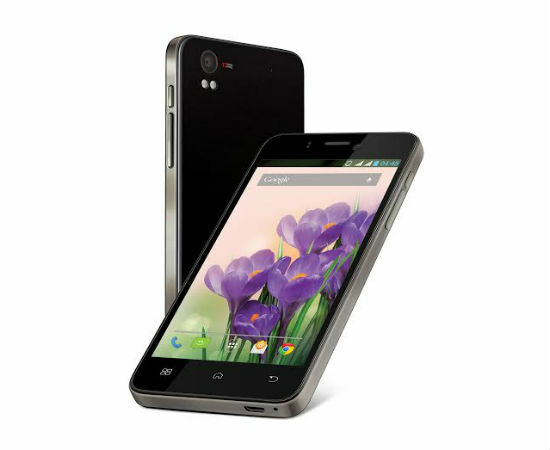 Based on Android 4.2.2 Jelly Bean, the Lava phone packs in a slew of aspects such as Wi-Fi, Bluetooth and USB OTG. The handset draws its energy from a 2,000 mAh battery that can pump in a decent backup of up to 9 hours. Also, there are software aspects such as Flip to mute, face and voice unlock and video picture in picture. Lava has priced at Iris Pro 30+ at Rs 11,990 and is providing a free 16 GB memory card along with the handset. The availability of the device will debut on August 26, 2014 at 1 PM.